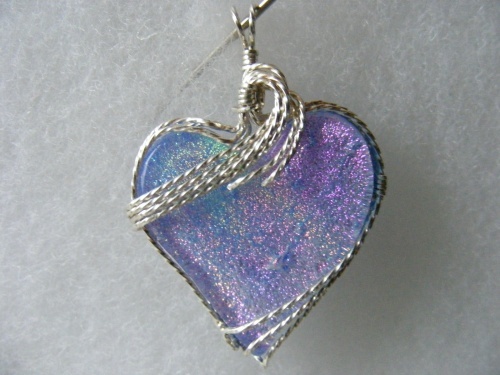 This unique wire wrapped piece of art jewelry is truly one of a kind with its pastel hues of pinks and blues. Wrapped in twisted sterling silver swoops, this piece measures 1 3/4" from top to bottom. Pendant only.